The BEAMER 3 light is all a BEAMER 3, but thanks to the optimized weight of its materials, it is more than 400 grams lighter than normal. 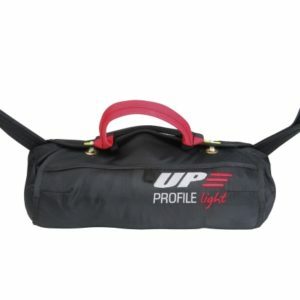 In addition to lower weight, its volume is also smaller. 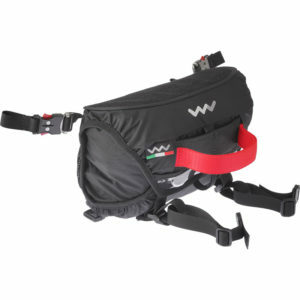 With its 1370 grams, the BEAMER 3 light is one of the lightest airship parachutes on the market. Assuming a reserve is open with its paraglider in a stable situation the next most important thing is sink speed. Low wing loading and modest forward speed give the Beamer 3 an unrivalled low sink rate. 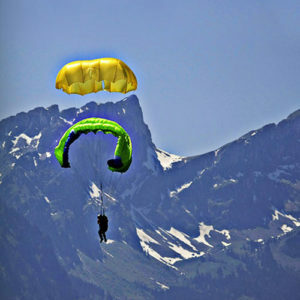 The EN certification authority has confirmed a sink rate of 3.9 m/s at maximum weight of 130 kg (without the paraglider). 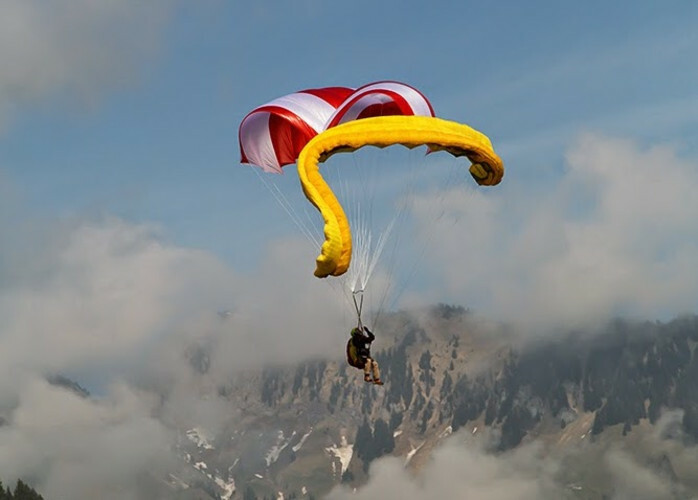 The additional braking effect of a paraglider reduces this value to less than 3m/s. 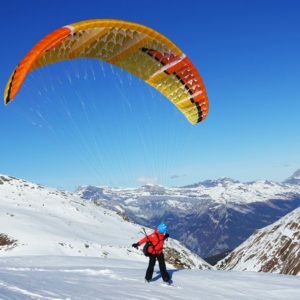 When developing a Rogallo our main focus is how it works with the paraglider. 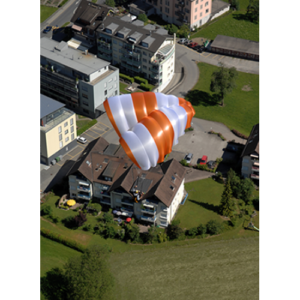 After reserve opening the paraglider can stay attached (the usual emergency situation – no quick release/cutaway). Here the Beamer 3 really plays its trump card, and is far superior to the smaller models on the market in this respect. After a fast opening the Beamer 3 quickly takes control. 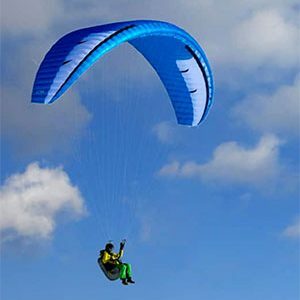 It goes into very slow forward flight and therefore does not encourage the paraglider to disturb it. The Beamer 3 achieves Its stability, among other things, by its low wing loading.